Let’s face it. It’s tough to break into the music business today, which is why the TV show American Idol has become so popular. Wanna be singing stars flock to it each year for a chance at overnight stardom and the general public loves to watch it to see and hear the awful singers almost as much as the great ones! People also love to back their favorites by voting because it makes them feel like they are a part of the show. Well, American Idol might be a great place for a singer to get a shot at the big time but until they come up with an equivalent for drummers (give me some time, I’m working on it! ), you’re just going to have to break into the music business the old fashioned way. And that is simply by getting out there and letting other musicians know you’re alive! There are many ways to get your name around. You can start by going out to wherever music is being played and get to know the working musicians. Sit in and play with them every chance you get. Don’t worry about getting paid, it’s more important to play and spread your name around. 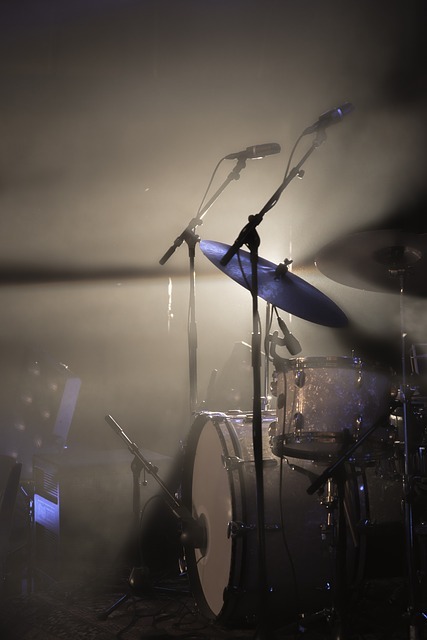 If other musicians like the way you play, they will hire you or recommend you when a drumming gig comes up. This is the way most pro-drummers get work and keep working year after year. Another way to make a name for yourself is through the tremendous power of the Internet, which lets you strut your stuff to literally thousands of musicians that you could never have reached before. Start by posting some video clips of yourself playing on the popular social networking sites like YouTube. Record yourself playing some cover tunes in the style you are interested in or record your original compositions, if you’re a drummer/composer. Many sites will let you post classified ads. Whether you’re looking for a band to join or for musicians to start your own thing, the World Wide Web can definitely help you on your way. Just Google and ye shall find! While those are the most common ways to get into the business, there is another popular option. Brought about by the low cost of studio quality audio recording gear, many musicians are starting their own record labels. I thought this was a very interesting concept. Delving further into Hit Play Records, I found a group of outstanding artists connected with the new venture. I’m always on the lookout for great music and, when I find some, I like to share. Check out the sample tracks for yourself from the upcoming release of Hit Play artist Elisa Girlando. In addition to Elisa’s fantastic blues oriented voice (love it! ), check out the horns. Real, live horns! Wow! It’s enough to get a real musician excited about playing some real music again! Until next time, stay loose!